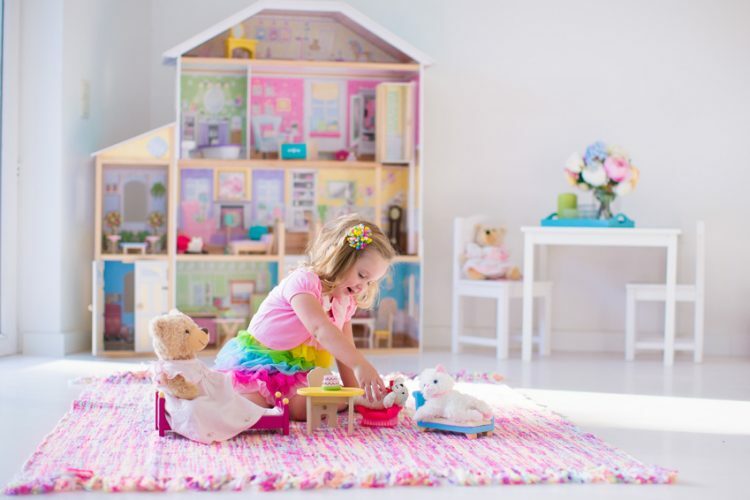 For more than 40 years, children all over the world have played with KidKraft dollhouses, whether at home, school, or anywhere else children’s toys are commonly found. In addition to KidKraft products consistently being named one of the top rated dollhouses by parents, children, too, often declare them the best dollhouse to play with. If you are considering purchasing a children’s dollhouse, safety is likely one of your top concerns, which brings up a huge question. Are Kid Kraft wooden dollhouses safe? The answer is YES, they absolutely are. Below are a list of the top ways you can be certain that KidKraft dollhouses are safe. Originally founded in 1968, KidKraft products are designed by engineers who are committed to making certain everything they manufacture is safe and sturdy. Over the years, the company has become a leader in the world of wooden toys, while also earning a stellar reputation for manufacturing top quality, durable products that are available at a wide variety of retailers for a reasonable price. Now, let’s look at safety measures KidKraft takes to ensure all of their products are safe. Do KidKraft Products Comply With The European Toy Safety Directive? Currently, most KidKraft products are manufactured overseas, which is why the company strictly adheres to the European Toy Safety Directive, which was designed to ensure products intended for children are safe. This directive includes specific guidelines regarding everything from what materials can be used to which types of fragrances are prohibited from use in children’s toys because they could potentially trigger an allergic reaction. Are Their Dollhouses Manufactured Using High Quality Materials? The large majority of KidKraft dollhouses, as well as all the little pieces that come with them, are constructed from manufactured wood. In some instances, plastic is used to create certain pieces, such as the staircases of multi-level doll houses. Additionally, only materials that do not present a risk of igniting a fire are used. As mentioned above, all Kid Kraft products are created by engineers who pay careful attention to sturdiness and durability when crafting their design. Although there are a couple of single-story dollhouses that weigh less than 20 pounds, most well exceed this weight, meaning they rarely, if ever, just fall over. Keep in mind that this is only true if the doll house is assembled correctly. In the event pieces aren’t connected or tightened into place properly, there is a chance that even the best dollhouse could accidentally tip or fall over (or even fall apart). This is why it is so important to make certain you put the assemble it correctly. Is The Paint Used On KidKraft Dollhouses Safe? Without a doubt, one of the best aspects of KidKraft dollhouses is the gorgeous and elaborate paint jobs they feature. In fact, many parts of the house, including the furniture that comes with it, is painted by hand to ensure that every little detail is perfect. Although it is not mentioned on the website, the Kid Kraft customer service center reports that all paints used on their products are non-toxic and free of lead. 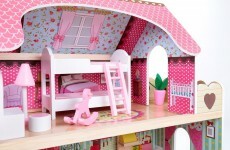 Are The Accessories That Come With The KidKraft Dollhouses Sturdy & Well Put Together? Everyone knows that the best dollhouses tend to have plenty of accessories, including couches, tables, chairs, beds, and even tiny cups and plates, to make playing house that much more fun. Fortunately, KidKraft has managed to develop pieces that are durable and meant to stay together, so you really don’t really have to worry that a small piece will fall off and find its way into the hands of a small child. However, it is important to note that some of the accessories that accompany the dollhouses are incredibly small and could pose a choking hazard for younger children (or pets). This is why almost all dollhouses by KidKraft are intended for children ages 3 years and up. There are thousands, if not millions, of online reviews for KidKraft dollhouses. After looking over them, the overall consensus is that they are very safe products and well worth the price you pay for them. (Again, this is provided you have assembled it correctly. Countless reviewers have commented on how “very solidly built” and “unbelievably well engineered” the dollhouses are, as well as how “sturdy and well built” the accompanying furniture and accessories are. While there are a few reviewers who report that it could take up to 2 or 3 hours to assemble the dollhouses, it is not easy to find reviewers who report any safety mishaps. When you are searching for the best dollhouse, whether it is intended for a toddler or children a bit older, you can’t go wrong with one made by Kid Kraft. Kidkraft also sell replacement furniture for your doll house too. From the smaller Chelsea Doll Cottage to the 18-inch Dollhouse Doll Manor, there are multiple dollhouses to choose from, meaning you’ll be able to find one that is safe and meets your specific needs.